Some of us expect for great things to drop out of the sky. Some of us believe things that we want should be given to us. We should not expect but prepare to work for what we want. We should not believe something will be given but decided to earn what we want. I am guilty of both and I can say, what I worked for I appreciate more. I believe that hard work will pay off in the long run. Be STRONG in our approach for the things we say we want. Commit to the end of what we want. Things will seem far, slow and set backs will pop up but if you drop being weak , gain strength and stop being uncommitted , commit steadfast to your desires, you can do anything you want. You have to choice to shift your minset and move in a positive direction from here on. 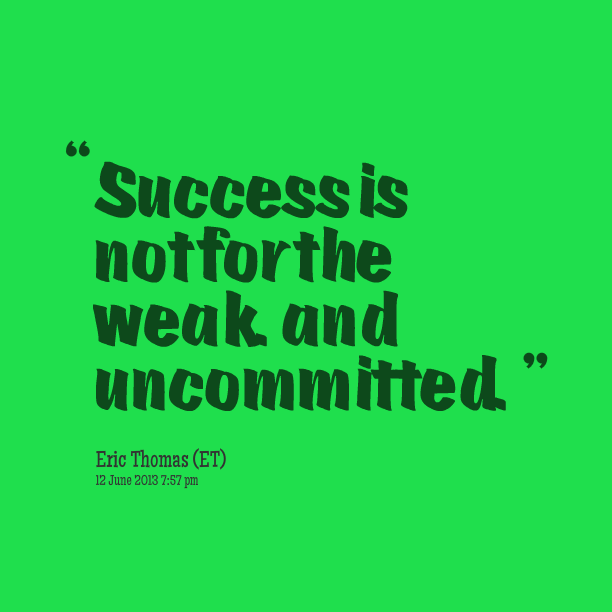 Do you believe you can be weak and uncommitted and still succeed? Product Friday: Waist Trimmer or Waist band!!!! Do they work?